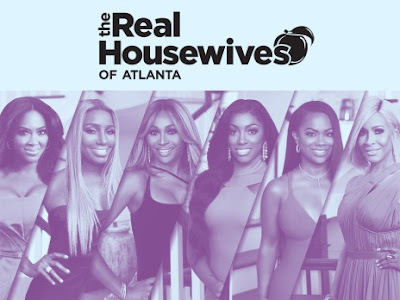 iRealHousewives | The 411 On American + International Real Housewives: Sneak Peek: RHOA Season 10 Premiere Episode — Kenya Moore Wants To Move Out Of Moore Manor, NeNe Leakes Confronts Porsha Williams About Their Issues! Sneak Peek: RHOA Season 10 Premiere Episode — Kenya Moore Wants To Move Out Of Moore Manor, NeNe Leakes Confronts Porsha Williams About Their Issues! On Sunday's Season 10 premiere episode of The Real Housewives of Atlanta — Kenya Moore returns home from vacation with big news but quickly learns that her secret is already out. Despite the explosive rumors from last year, Kandi Burruss shows no signs of defeat as business continues to boom at the OLG restaurant. Meanwhile, Porsha Williams struggles with letting people back into her life after being betrayed, and Cynthia Bailey celebrates her fiftieth birthday one more time. Things heat up at the party when NeNe Leakes comes face to face with a former friend. Watch a sneak sneak preview below! In this preview clip via PEOPLE, Kenya tells fellow Housewives NeNe and Cynthia that she’s planning on moving out of her Moore Manor. “Ghosts have been walking around in there. I want a new life,” Moore tells Leakes and Bailey when asked if she and Daly would be moving in together, adding that they are looking for a new house. The “ghosts” Moore is referring to is ex-boyfriend Matt Jordan, however that’s all in the past for Moore now, who is happy as can be with Daly. In this other preview clip, Porsha is seen confiding in her sister, Lauren, about friendships and even offers some words on her issues with former co-star and bestie Phaedra Parks. "Don't ever work with your friends, period," Porsha said. "Sometimes, with friends, you never know where their interests lie. I pretty much decided to lock it down when it comes to new friends." After seemingly reading a birthday text from Phaedra, Williams reflects on the part she unwillingly played in Parks' feud with Kandi Burruss. "I feel like what she did to me was something she felt she had to do to get back at Kandi and she used me as collateral," she added. In this preview clip courtesy via E! News, NeNe Leakes decided to confront Porsha about their issues at Cynthia Bailey's fiftieth birthday bash. "What is your problem?" she demands Porsha tell her in the middle of a party after she clearly catches wind that she's being talked about. Porsha laughs at NeNe's request. "NeNe, three weeks ago...," is all she can get out before NeNe cuts her off. "No, no, if you can't take it all the way back, I really don't want to have the conversation," she tells her former friend. "Because I don't understand why you would take it back three weeks and not all the way back." "I'm here to talk about everything," NeNe continues. "Everything." Meanwhile, Porsha isn't backing down, though. "You are fake as hell," she tells NeNe.